The day will start with an exciting trip to Yala National Park, where we will see many different species of animals. At the park, we might take a jeep tour to see the different types of animals that reside in the fairly large park. A look inside Yala National Park. Around mid-day, we will travel to the Dambulla Cave Temple, which is a very beautiful and historic place that many tourists and citizens alike enjoy visiting. The rest of the day will be spent there, simply exploring the various cave openings, taking pictures and possibly even buying souveniers. 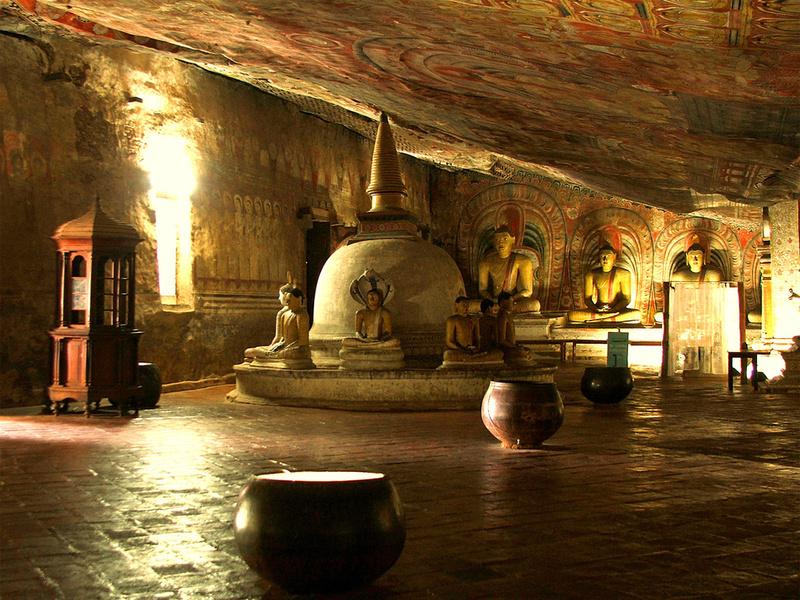 An inside look of the Dambulla Cave Temple. Made by © Tharushi J.